For most of the Indians, an international trip a year is a great achievement considering the expensive flight and hotel stay. Now, What if i say the luxury hotel stays are reduced by 60%, Sounds good? Here comes Makemytrip & American Express to make your Dream vacation a real. Offer Dates: 18th November, 25th November and 2nd December, 2016. The offer is too tempting to resist and i’ve already started pre-planning my upcoming Vietnam trip with this offer. I did a quick research and got some details for you. 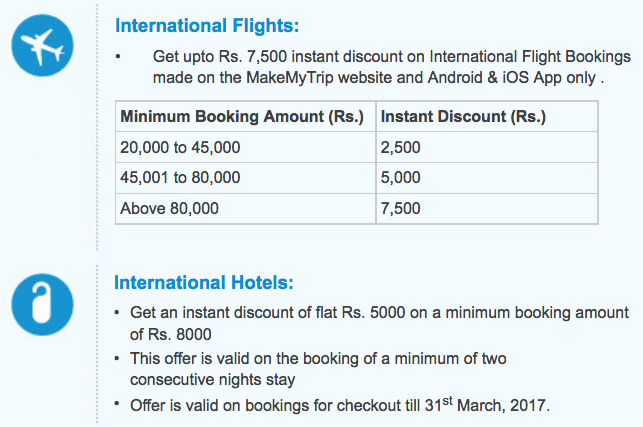 Note: While the offer is best for Intl hotels, it can also be used for Flight Booking. But i prefer to book Flights with HDFC Diners Black to avail 10X Rewards. That’s a sweet 33% with Diners black, while with this offer, you get only around 10% on Flights. 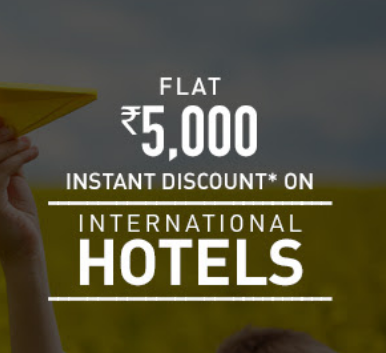 For even better luxury hotels, look out for 2 Consecutive days amounting above Rs.8000 and the apply coupon. Remember, the offer is only on Fridays. Why Friday? I guess its a result of the upcoming Black Friday season in foreign countries. Personally, i prefer the first option as it makes Rs.1000/day for 2 people with Breakfast in a foreign country. Damn cheap it is! Its time for International Trip. Isn’t it? Depends on what benefit you’re looking for. Amex Plat Travel card is good for travelers.